Lazy Seamstress: A Woolly Give Away! I was thrilled recently to be asked to write a guest tutorial for the lovely Merry's blog to help celebrate 10 years of Patch Of Puddles. 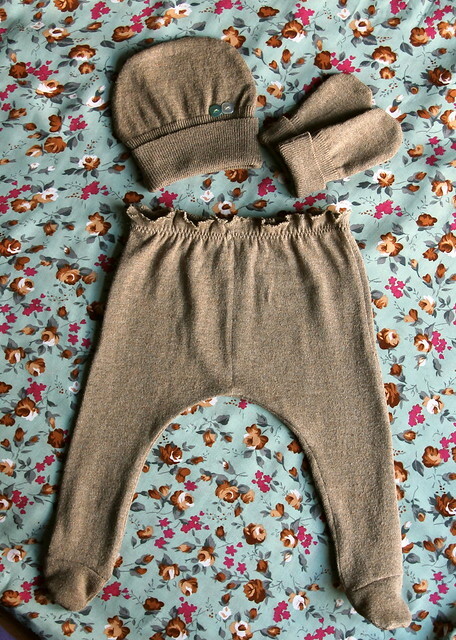 I love a bit of woolly recycling, and especially for snuggly baby clothes. Pop over to Merry's blog to see the full tutorial and download the pattern pdf. 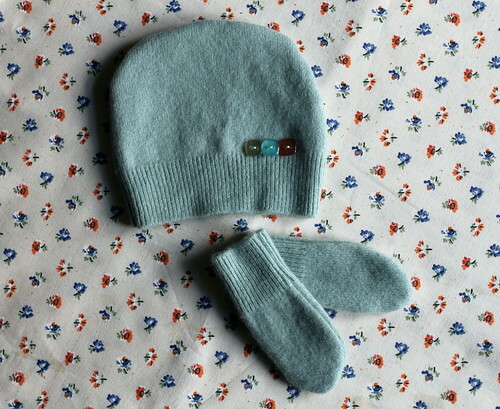 Meanwhile here, I have both sets of woolly lovliness featured in the tutorial to give away. Just leave me a comment, and two winners will be picked at random by Friday 7th June. Give away open to everyone including international readers. Oh these are delicious, I know a baby who would look adorable in either! Fab tutorial and lovely clothes! Oh yes please. These are gorgeous! Baby is due on Friday so the timing of this price would be fab :-) plus they are very cute!